This piece of thick old rope has a great colour and texture. 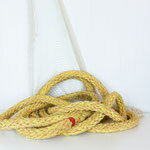 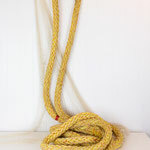 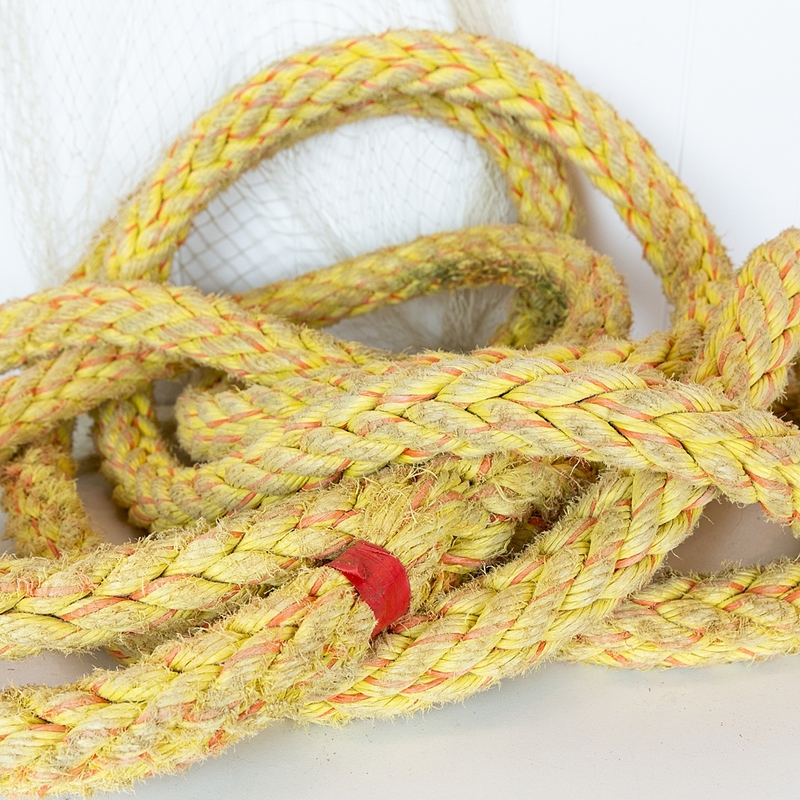 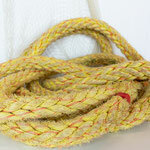 Yellow and some soft red have been plaited together, with a splice loop or eyelet that is just over one metre ling on one end. 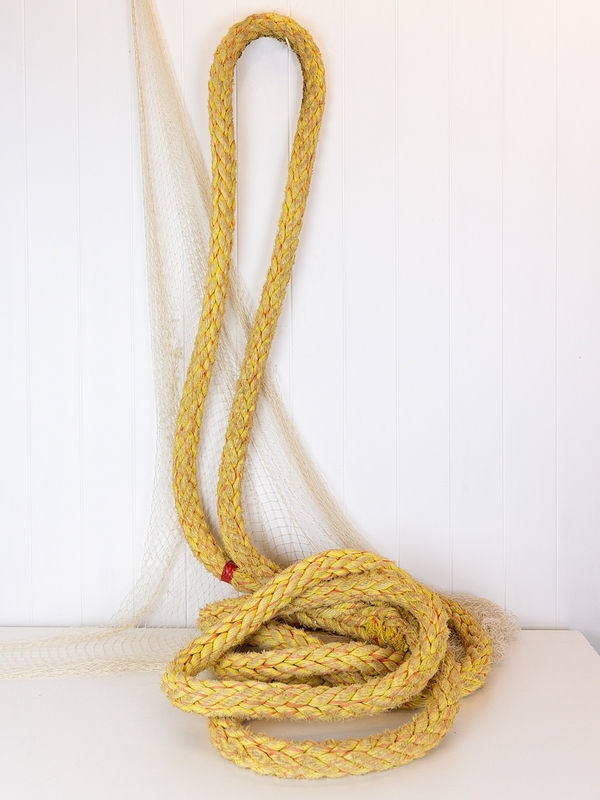 Drape it across the deck, coil it under a glass float, or display it in the garden. Perfect to add a nautical touch to the home, cafe, or restaurant.